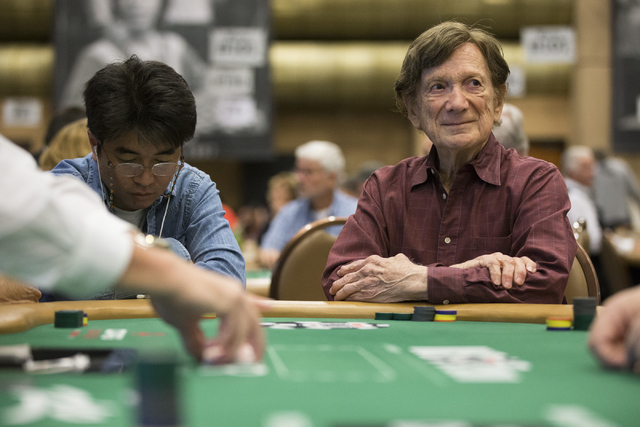 Norm Spivock, 92, will be one of the oldest players in the field when the World Series of Poker’s $1,000 buy-in Seniors No-limit Hold ’em Championship opens Friday at the Rio Convention Center. Norm Spivock describes himself as a wanderer. And an author. And a skier. And a businessman. • Living on a 1970s hippie commune in San Francisco. • Learning to play polo. At age 62. • Studying Chinese at Xi’an University and attending film school in New York. Spivock’s latest passion is poker. 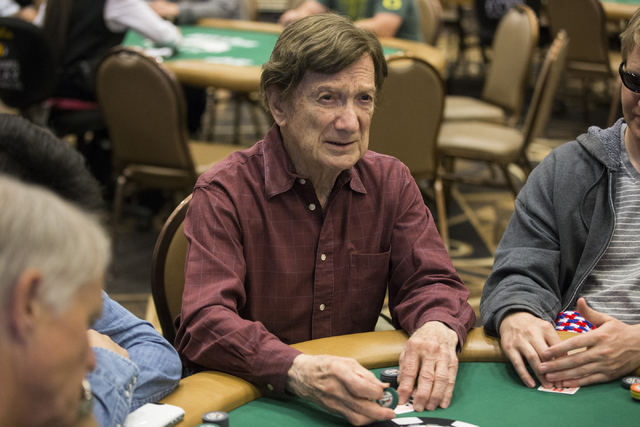 The resident of Santa Rosa, California, with a self-deprecating sense of humor and a stream of sarcastic one-liners will be one of the oldest players in the field when the World Series of Poker’s $1,000 buy-in Seniors No-limit Hold ’em Championship opens Friday at the Rio Convention Center. 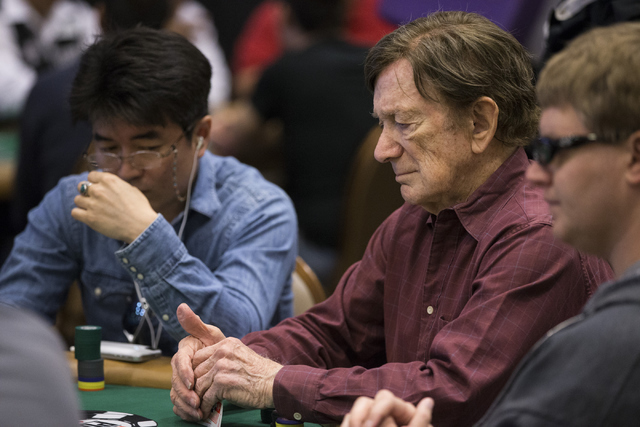 The three-day event, open to players 50 and older, drew 4,193 entrants last year. 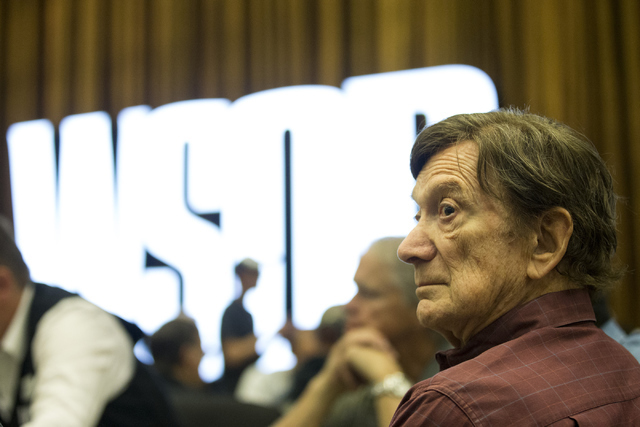 The $1,000 buy-in Super Seniors tournament for players 65 and older starts Sunday. 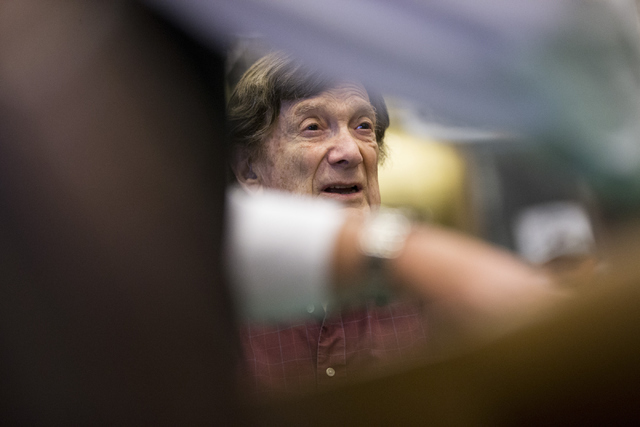 Spivock served in World War II and attended California-Berkeley and UCLA before going into the homebuilding business with his father in 1948. Their company built the first homes in what would eventually become Rohnert Park, California, a city approximately 50 miles north of San Francisco. Spivock said he began his affiliation with the commune in San Francisco at age 45 near the end of his first marriage. After dating a woman from the commune for 11 years, Spivock married her older sister, and they’ve been together for more than 30 years. Spivock became interested in poker after watching it on TV and said he got hooked in 2011 after taking a bad beat during a daily tournament at Wynn Las Vegas. Spivock first attended the WSOP in 2013 and has been back every summer to play in the local tournaments. In April 2015, he made the final table of Aria’s daily $125 buy-in tournament five times and racked up more than $8,000 in earnings, according to Global Poker Index’s Hendon Mob Poker Database. Spivock entered the inaugural $565 buy-in “Colossus” No-limit Hold ‘em tournament last summer but didn’t make the money. He earned his first career WSOP cash in the “Colossus II” two weeks ago when he finished in 1,118th place out of 21,613 entrants and collected $1,584 in prize money. 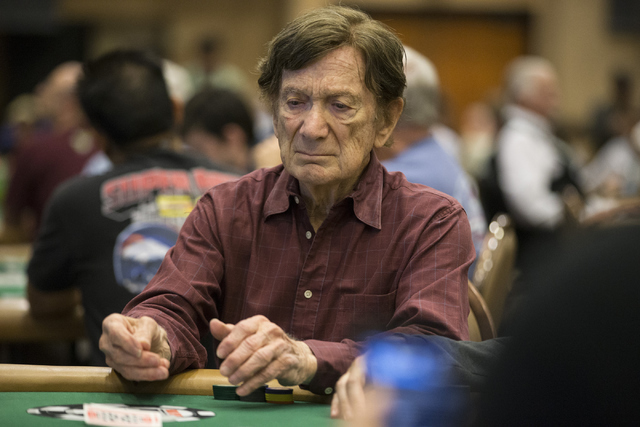 Spivock also was the oldest competitor in the 7,190-entrant field for the $1,500 “Millionaire Maker” event last weekend. Spivock said he plans to play in the Super Seniors tournament along with the Main Event that starts in July. After that, he’ll hop in his blue Tesla — “I’m 92 and I have the hottest car on the road” — and go in search of his next experience.